Yoga Buzz is teaming up with Gateway Arch Park Foundation to host FREE yoga classes in Kiener Plaza. 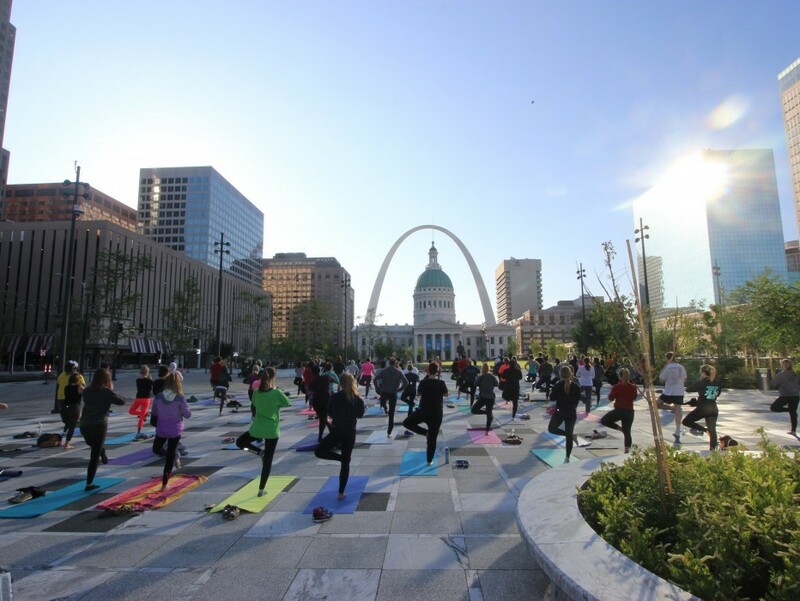 Join Yoga Buzz instructors for a rise and shine flow at the new Kiener Plaza! We will lead you through a 45-minute, all levels class to start your day off right. Enjoy some smooth tunes while you bend and breathe with the sunrise. We can't wait to see you there! *A word on accessibility - if there is ever any assistance you need in order to feel supported at one of our events, please reach out. If you would like to request an assistant, sign language interpreter, or other one-on-one support, please give us one week notice to try to line something up. If you have a caregiver or an assistant you'd like to bring with you, please let us know in advance. Contact us at events@yogabuzz.org. If you have any specific needs, concerns, injuries, or limitations, please let us know either via email in advance, or connect with the teacher directly before the class begins. Kiener East Self Park Garage. Members of Gateway Arch Park Friends at the Supporter level and above can use free parking vouchers from their welcome packet at the Kiener West garage. Click here to join. 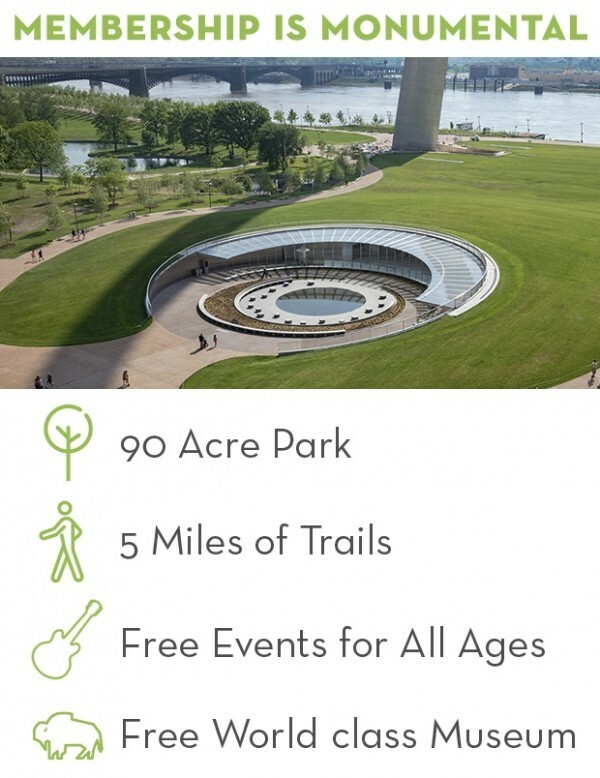 Free events at the Gateway Arch Park and support for the National Park are made possible by our donors. Friends of the Gateway Arch Park Foundation get great benefits to enhance their Arch experience.